My first car was a 1930 Model A Ford Cabrolet. It was a convertible with a rumble seat. I bought it in Draper in western South Dakota in 1965 where it had been rusting outside for many years. I was working on my Uncle Luverne's ranch. My cousin Raymond Boe and I rebuilt the car (Thanks again, Ray, RIP). As you can see from the photos the body remained in a very rough state - we painted over the rust and welded fenders. The top leaked, there was no interior, and you could see the ground through the floorboards. She was unsafe at any speed. But she was my first car and I loved her. 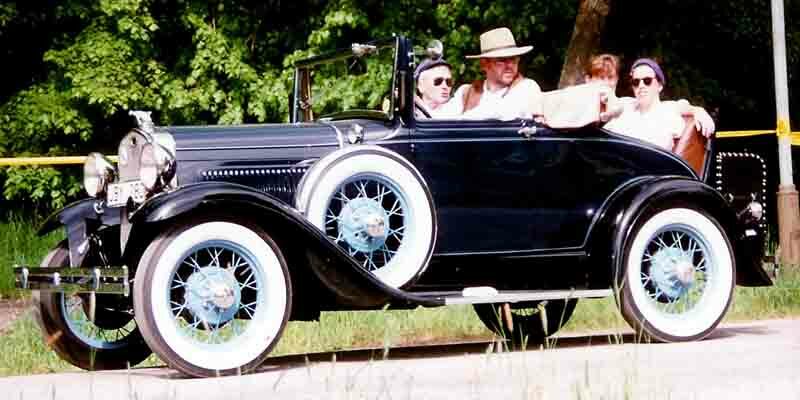 The photo shows my younger brother Neil and I in the rumble seat. My Uncle Luverne is driving and his dog Herman in riding shotgun. She had brakes on only three wheels and they would not lock the wheels when applied. She would also boil over if you went over 32 miles an hour. My cousin Dana Erickson and I drove her back to Chicago from western South Dakota. The trip took us three days and we went through all five extra wheels with tires that I had purchased. The tires had good tread but were very old and brittle which caused frequent flats. We had to buy one additional tire that a gas station happened to have in their attic. The wheels ranged in diameter from 21, 19, and 18 inches. We started the trip off with balanced wheels on each side but as we had frequent flats we did not worry if a 21 inch one was on one side and an 18 inch wheel on the other side. It seemed to work ok. The Model A broke down twice on the trip. In each case a young mechanic told us all the terrible and expensive things that were wrong with the car that could not be fixed. In each case an old guy (younger then I am now) came up and volunteered his services and quickly made the car run. One guy opened up the carburetor and bent the float with his teeth, and voila !! It ran. The other time an older gentleman inserted a large screw driver into the points, gave a mighty shove, and voila!! The car ran. No cost. Thank you, gentlemen. 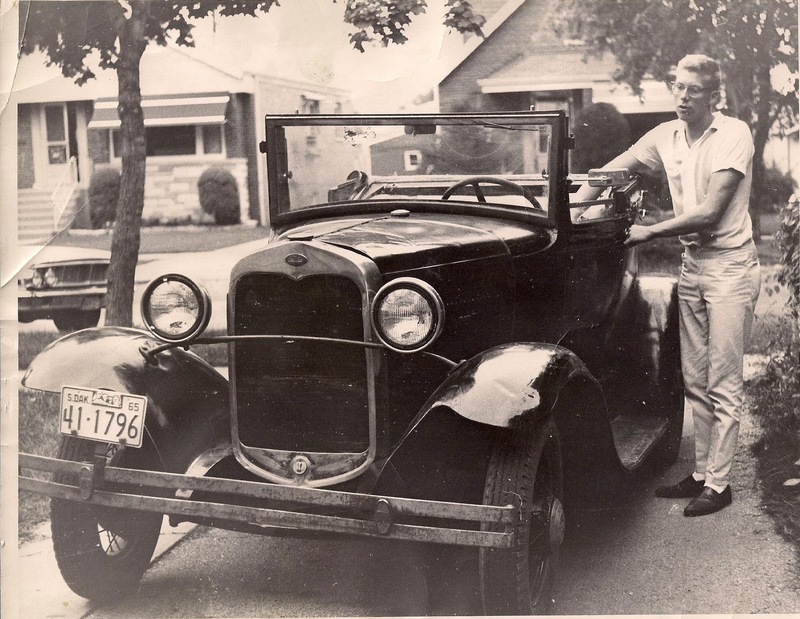 The photo below is Don Martensen MPHS 66 and I in my parents driveway. Don owned a Czech Skoda, a very slow car. He and I conducted a drag race to determine who had the slowest car in Mt. Greenwood. Don won, meaning his car was slower. Those Communists just could not compete with American technology. George Traister MPHS 65 RIP owned a Kaiser Henry J which was also very slow but we never drag raced. I drove the car to and from Morgan Park High School in my senior year in the fall of 1965. I would arrive late, driving in front of the school in first gear with the engine revved up, then hit the spark advance and choke, which caused a series of very loud backfires. I wanted to let the school know the Model A and I had arrived. The car would often not start. We would then push start the car. My cousin was showing Jackie Sheffner MPHS Jan 66 how to shift. He showed her how to ease the clutch, shift, and release the clutch. When the car stalled, he had her drive and pop the clutch while he pushed. The car started. Jackie shouted, how do I stop it? Dana yelled "push in the clutch". As she had been trained, she pushed in the clutch, then shifted into second gear, and released the clutch. Jackie was now screaming as the car accelerated. "How do I stop it?" Dana yelled, "Push in the clutch!" She did so, and as she had been trained, pushed in the clutch, shifted into 3rd gear, and released the clutch. She was now driving south rapidly on Central Park south of 111th Street, screaming as she continued out of control. The automatic accelerator was on high. Dana was pursuing on foot. A woman stopped and gave Dana a ride in hot pursuit. Jackie finally stopped the car just short of 115th Street and probably a bad wreck. Of all the ways she could have stopped it - pushing in the clutch and leaving it pushed in, turning off the key, shifting it out of gear - she stopped it by reaching over to the other side of the car and turning off the choke. The car was also a hit at the MPHS football games. I usually took five girls in front and rumble seat. Renee Toppin MPHS Jan 66 would bring her Pompoms and Raccoon Coat. I think MPHS girls who rode in the rumble seat included Sandy Schuessler Wright and Sue Wiggins and Joyce Prange (MPHS 66) and Bobby Toppen MPHS 67. I thought I was hot stuff. The car cost $200 to buy and $150 to "restore" to "top" running condition. I thought I would make a lot of money on the car, but in the end I broke even. Although as I think about it that is the best I ever did on any car. I sold the car after high school. She was taken back to Detroit where she was born and restored. I hope she is doing well and has fond memories of our time together. 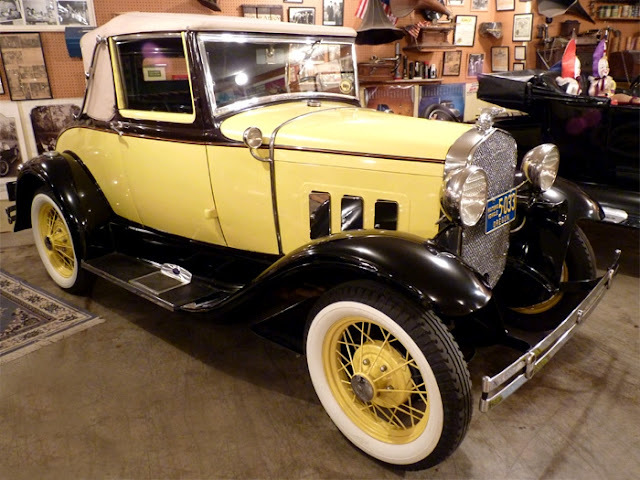 The automobile featured in this article is a superbly restored 1930 Ford Model A Cabriolet. 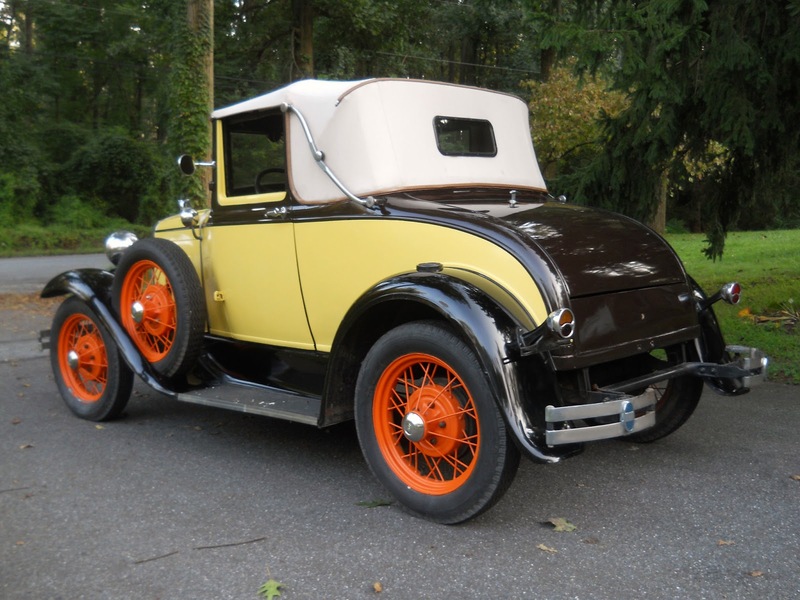 The detailed restoration along with the rumble seat on this vehicle makes the car look fantastic. The Ford Model A’s took the place of the famous Model T’s. Model T’s had been around for quite some time and during the early 1920′s sales began to decline. More competition was entering the picture. Even with these competitive issues it took a good deal of persuasion to talk Henry Ford into coming out with a new car model. This was a characteristic of the old automaker. Ford had a habit of not wanting to tinker with what he thought was a good car. Competitive pressures made Ford agree to changes that he didn’t feel were necessary. A good example were the Ford brake systems that remained mechanical for a period after General Motors introduced their hydraulic braking system. 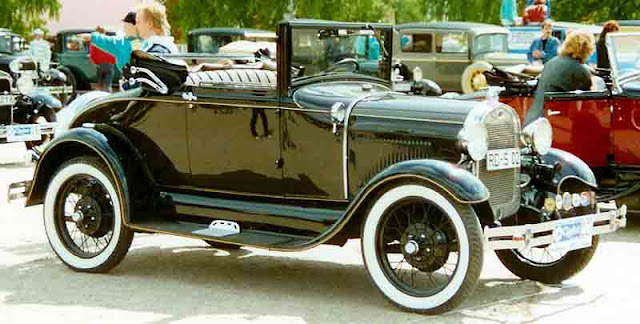 The Ford Model A’s were designed by both Henry Ford and Edsel Ford. 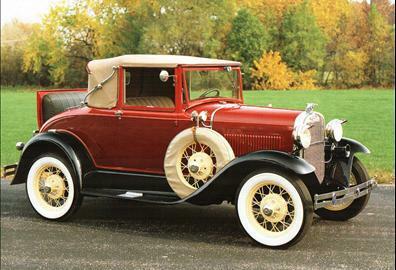 The Ford Model A was produced from 1929 through 1931. 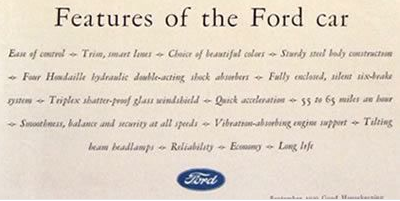 Ford used the body designations 68A, 68B and 68C. 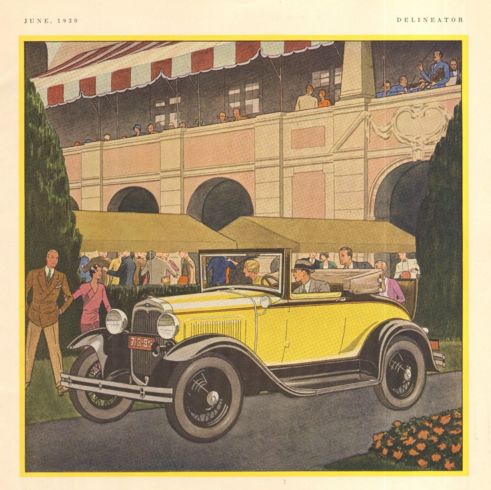 The Briggs Body Company built all of the Cabriolet bodies for Ford. 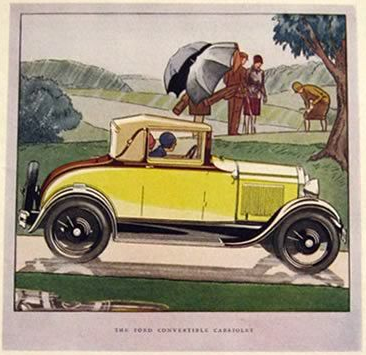 TheCabriolet is a convertible with glass side windows, unlike the canvas side curtains found on many other roadster models. 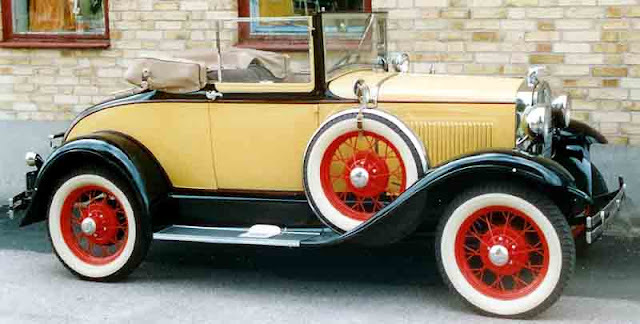 The Ford Model A was offered in many different styles. 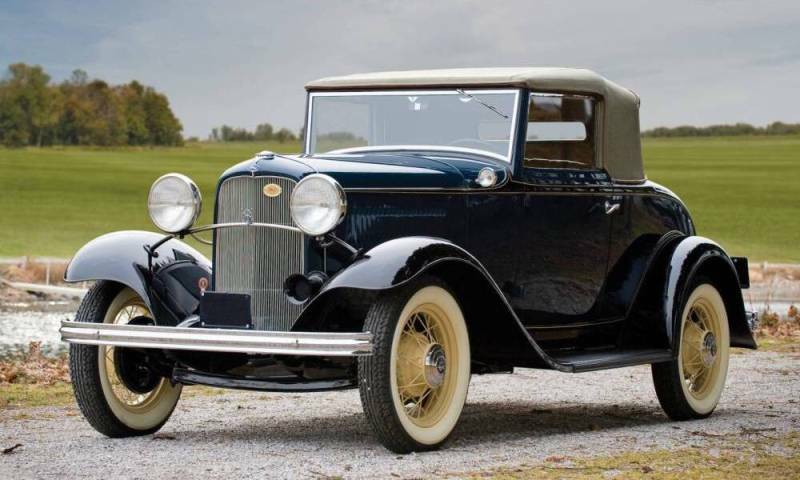 These included a coupe, sports coupe, roadster, cabriolet, towncar, fordor, truck, station wagon and taxicab. All of the various Model A’s acquired a reputation as being ruggedly built. 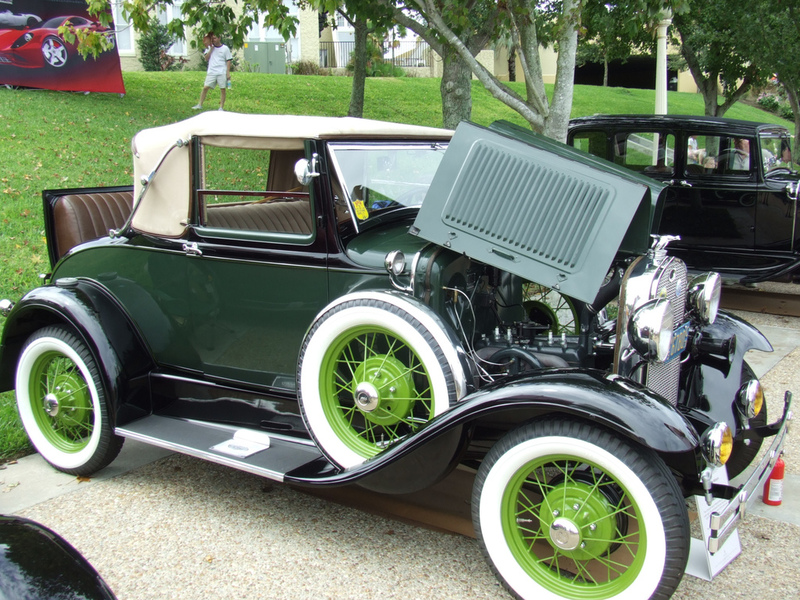 The 1930 Ford Model A came with afour cylinder 205 cubic inch 3.3 liter engine delivering 40 HP. The 1930 Model A’s engine produced twice the power of previous Model A engines. Top speed was estimated at 65 to 70 MPH. The wheelbase was 103.5 inches. The car’s transmission was a three speed manual. Brakes were four wheel mechanical. This was a significant change from the old Model T days when those automobiles had only two wheel brakes. Vehicle weight was between 2,155 and 2,495 pounds. New vehicle price ranged from$450 to $650 which reflected the slow economy that year. Among the changes from 1929 to 1930 were wider fenders, elimination of the cowl stanchion and a deeper radiator shell. Options available for 1930 included an external sun-visor, a rear luggage rack, a spare tire lock and for a bit of better safety a rear-view mirror.